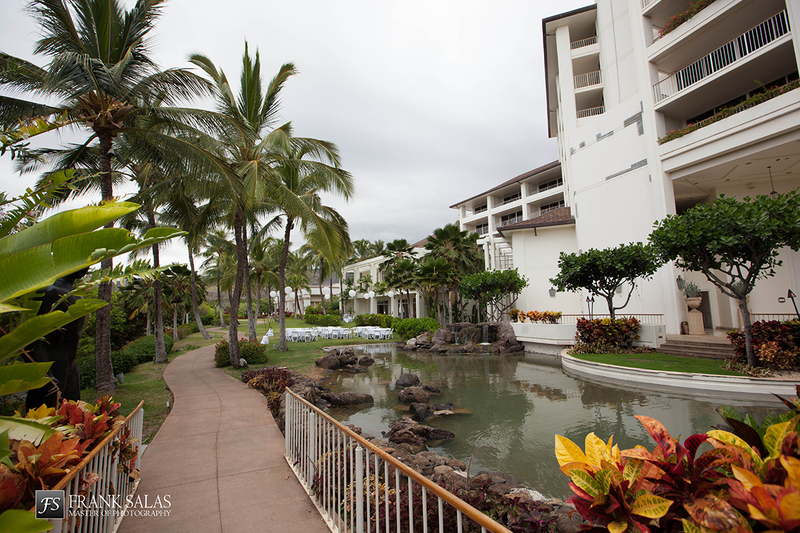 Well here I am in Hawaii, Oahu, Ko-olina to be exact, getting ready for a wedding that will be happening in a few days. It all started with the couples wish list and the budget, they didn’t match. So during the budget meeting the bride said, what about if I throw this out, could we do this in Hawaii, less guests, same monies. Sure I said, and that is what brings us to today. 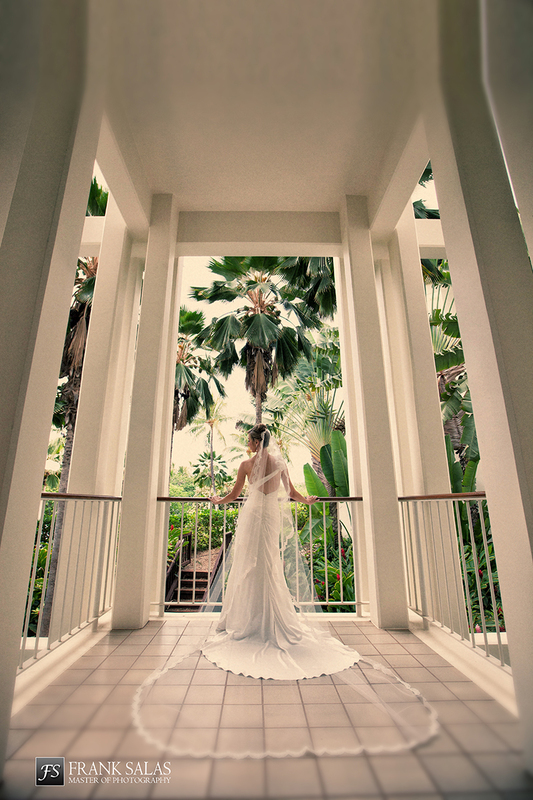 Having been to the main islands a few times each and the Waikiki area multi times, I took all the important elements for the bride & groom and then narrowed down the hotels/locations that would work, then gave them the ones to look at/narrow down/mark off. I knew from the calls I was making, what was going to be the perfect match for them, and ultimately that is where we are. And sometimes fate just steps in and helps you along which it did in this case. Where we are doing the celebration did not match the budget and amount of guests, however, in my calls/information seeking I found out there was going to be some renovation happening at the hotel, and due to that managed to get the site fees reduced and some reduction on the Food & beverage, now it not only fit in the budget, but they are going to get the privacy/seclusion they want and have full run of the hotel/grounds, as there will be no guests staying. 5 star wedding for 3 star price. Love it. This kind of situation may not have been discovered by you making calls on your own or looking at websites, but as I do this for a job, when I hear certain things, I know what to ask and whether it is really going to be a concern for the celebration. Good to have someone on your side. 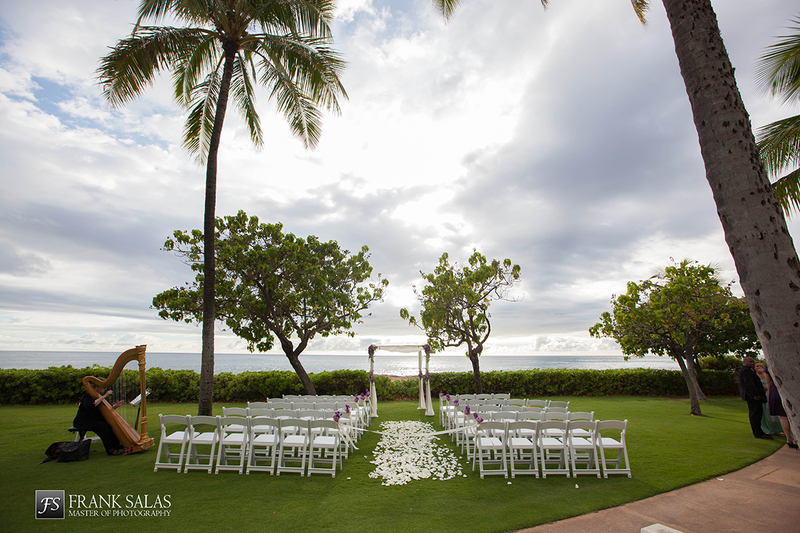 It’s now several months later, and as you can see from the photos above, we had a lovely ocean backdrop to our ceremony celebrated on a lush lawn/palm tree area. 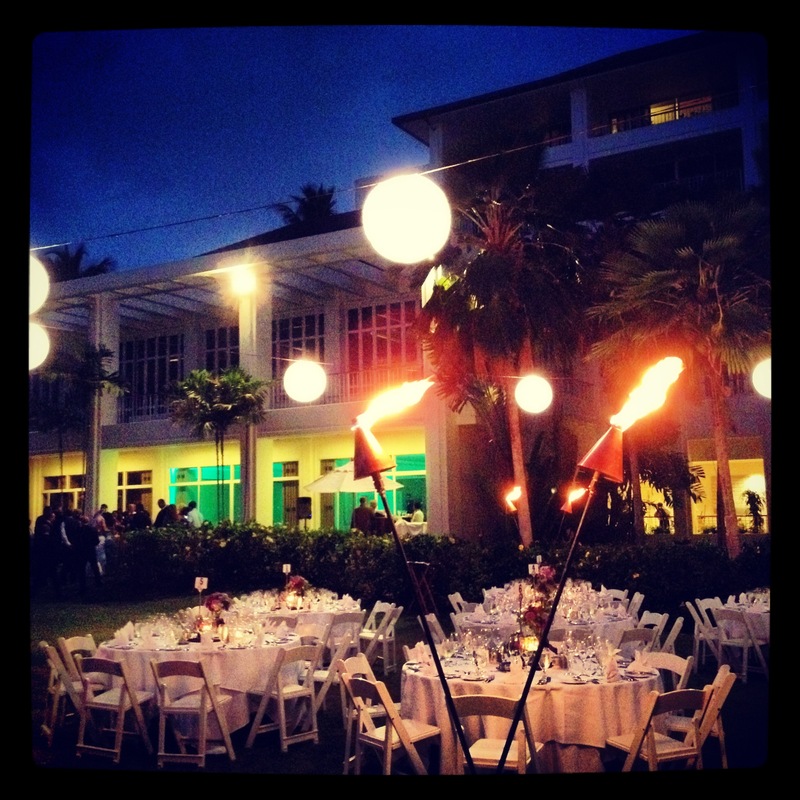 Cocktails were held on a lanai with a garden view, then dinner was on a lawn with a koi pond backdrop and the architecture of the hotel, we added hanging lanterns & lit torches around the area to enhance the Hawaiian feel. 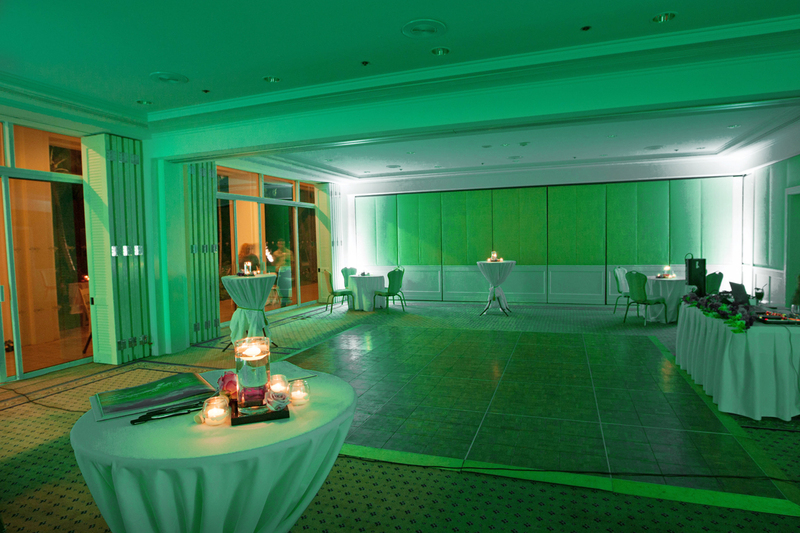 Then after dinner everyone went to an intimate banquet room which we enhanced with a few uplights in the ‘theme’ color, for dancing/socialising. 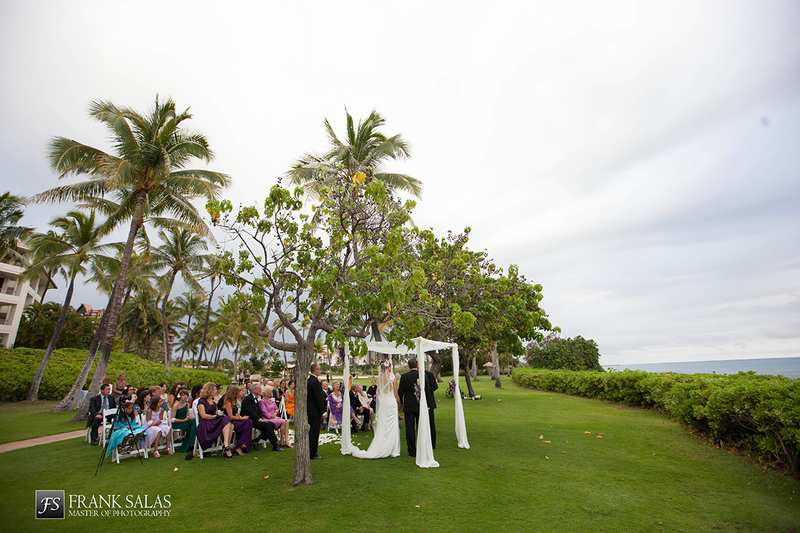 Most of the guests were still there when we waved goodbye to the couple as they headed off to their Thanks to Joe and the team at the JW Marriott at Ko-Olina, so great to work with and I look forward to many more weddings with them. From a vendor standpoint, we took Frank Salas with us from here/our local area (thanks for the photos above Frank) as the photographer. We did that for a few reasons, 1) they got to meet him/get a feel for him and see his work in person, 2) after the wedding it would be much easier for them to have him local when pulling the album together or any other needs they may have, and 3) based on my relationship with Frank and the wedding being on a week day, they did not pay much more for his package/services than they would have paid a local photographer over there, so well worth it. The dj was a local Oahu guy who the bride & groom knew so that was easy, however I had made inquiries and felt good about some of the local guys I had been chatting with, if we had of gone that route. From a floral standpoint, we narrowed it down to a couple of options, and we had a few phone conversations with the florist they chose. Her work on the day was lovely, however……………. if it had of been up to the florist the ceremony would have been inside, and she wanted to make that call at 8am for a 5pm ceremony. My eyes were opened to what a bride who does not have an advocate/planner on her side, must go through and possibly end up with a wedding based on the decisions of others, rather than the bride. I got a call from the florist at 10am asking me what the backup plan was, I had been in Oahu for 2 weeks and not seen any rain along the coast, with the exception of one day we went inland and had some afternoon showers, so when I got the call I went straight to the window, could see nothing but blue sky and had to ask the florist had she seen something on the weather forecast that told her it was going to be raining at 5pm, she said no but it is very changeable and can happen at any time. I told her I would meet her at the site at 3pm and would not make a decision until then, which she was not happy about. I arrived at the ceremony site and found the florist quite irritated that I had not made a decision to move the ceremony inside, she had called the hotel catering person to come down and support her in her effort to move the ceremony inside. Again I looked at the sky and asked what info she had that would make me understand her concern with the rain, I had been looking online at the weather hour by hour and there was nothing saying it was going to rain, so I was a bit bamboozled. I stuck to my guns, and told them we had come too far, their dream was the ocean in the background and as they could not give me any definitive reason to move it inside, outside we are staying. I asked the florist when she would have made the call to move it inside, and she told me hours ago. Now, not sure if we got lucky (ceremony of course happened outside and no rain!!!) or if the local vendors are a bit lazy and used to getting their own ways due to their own agendas (the harpist we used was out of line on the day for a couple of reasons also, but the bride knows nothing about what I was dealing with with her, our photographer saw what was going on and couldn’t believe it) but here in the OC, I have had some florists move their cere decor 2-3 times based on rain, then no rain, then rain, then no rain, they may have been a bit frustrated, but we were all of the same understanding, all brides choosing an outdoor ceremony location is going to want to keep her vision/backdrop unless it is pouring down rain or bitterly cold, our job is to work with what is going to meet/exceed the brides expectations/vision, not take it away without it being her choice or as it would have turned out on this day, We get sea haze and mist and rain along the OC coast, and I will let a bride make the final call 1/2 hour prior to ceremony time if that is what it takes. I found out later that the florist had called the bride 2 hours prior to me/8:00am and told her then we needed to think about moving inside, I was so upset when I heard this, if I was not there my bride would have moved inside, or been panicking all day/worrying about rain, instead of enjoying her day getting ready/being happy. Due to me being there and her telling the florist to contact me and have me make the decision, she could relax knowing I was going to make the right decision. My thought here is, having an ‘outsider’ on site for your tropical wedding is a positive, we are more likely to take risks (even though in this case there was no risk as far as I could see). A local planner probably would have sided with the florist, in order to keep her happy, as she has to deal with her many times in the future. I will say, it did end up misting, towards the end of dinner about 2 1/2 hours later and in the dark, and it wasn’t for long, we finished dinner and then everyone went inside to the party room, which was always the plan. 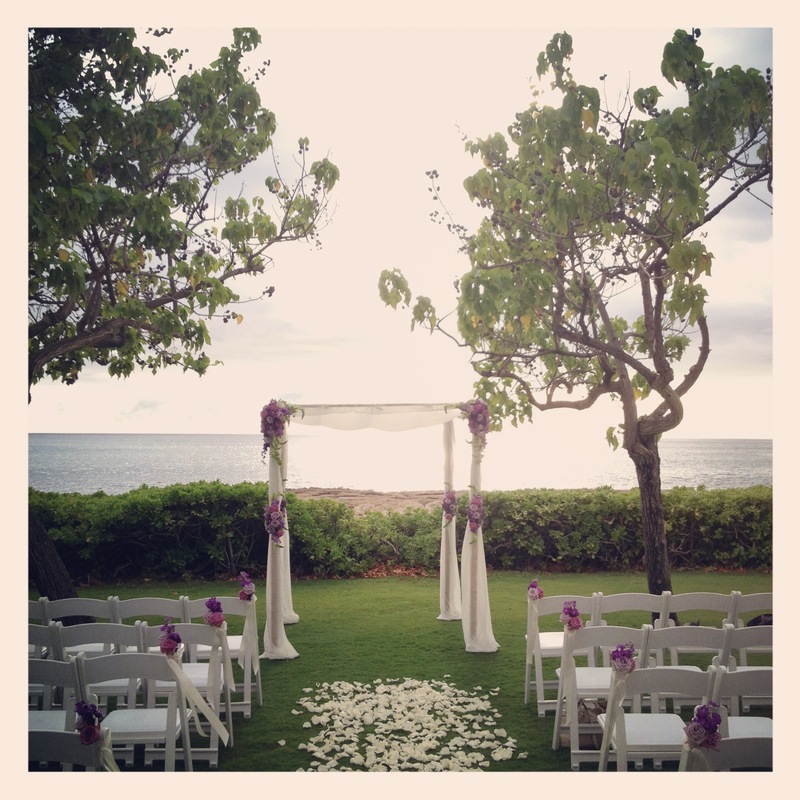 Let me help you plan your Hawaiian wedding, on any island, and be there on the day to ‘deal’ with things for YOU.